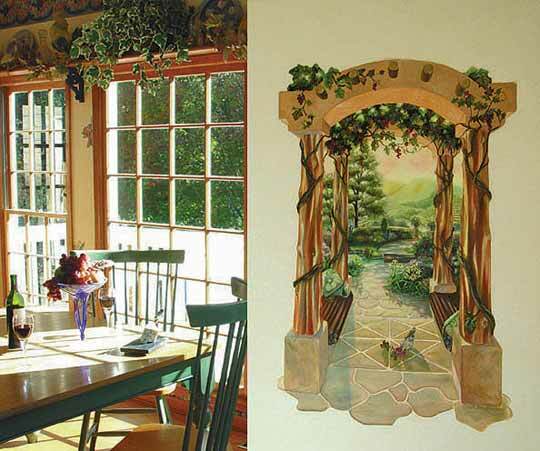 The Vineyard Mural: approx. size: w26"x h39"
Relax with an awesome view. 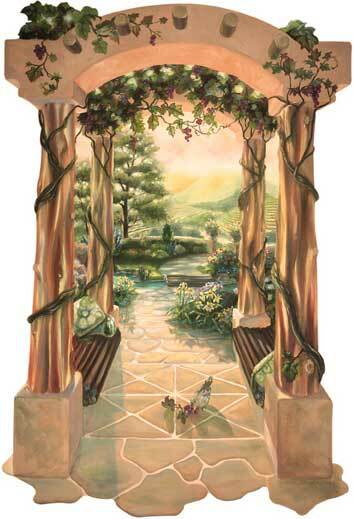 Imagine strolling out the door and through your vineyard just before sunset. Golden light bathes the vines heavy with grapes almost ready for harvest. A gray dove dines on a fallen sprig of grapes under the arbor. The Vinyard is the newest and smallest of the line. It is perfect for smaller spaces where you want to create a focal point.